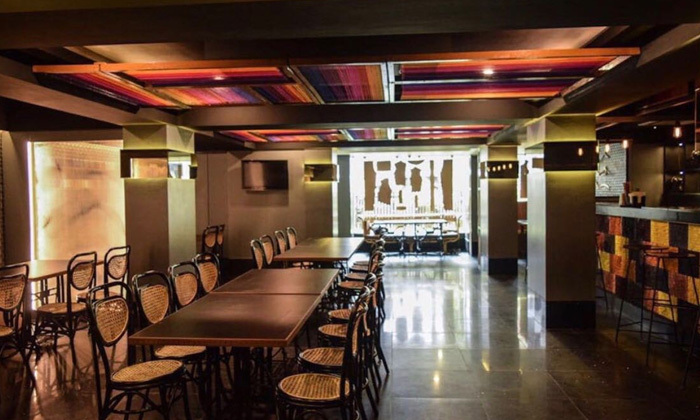 Tailor Bar is one of the newer themed restaurants in Andheri East, Mumbai that aims to give its customers a tailor-made experience altogether. Their decor is done up with everything you find in a tailor's shop. From scissors to sewing machines, menu binded on hangers and a wall full of button bars. The art of tailoring is stitched inseparably together with their menu and the decor. Relish over some lip-smacking North Indian and Italian delicacies that are sure to leave you wanting for more. More like a treat not only to your taste buds but to your eyes as well, this ‘dargi ki dukaan’ promises to leave you satiated!